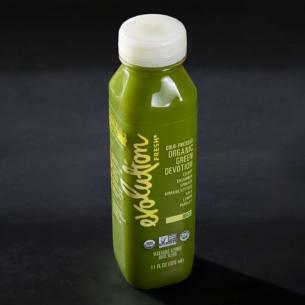 Nutrition meets hydration in this tangy, refreshing, leafy green blend that includes organic celery, cucumber, kale and spinach. It's 100% juice with no added sweeteners or artificial flavors. Organic Celery Juice, Organic Cucumber Juice, Organic Spinach Juice, Organic Romaine Lettuce Juice, Organic Kale Juice, Organic Lemon Juice, Organic Parsley Juice.